It’s February, the month of Valentine’s love and a remembering the important people in our lives, the people we love and the people who love us. It’s a time we can let them know we care about them and celebrate the beautiful love stories that surround us. 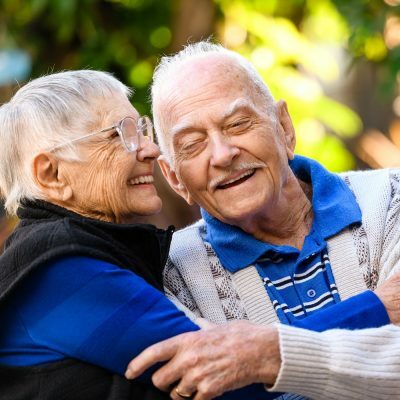 We asked our residents, the couples in our care and our staff to share with us their love stories and we were rewarded with some of the most heart-warming tales. George and Toula both worked on farms in Greece. Toula was on her parent’s farm and George was a labourer. They lived in two different towns, Toula lived in Athens and George lived in Samos. Toula was friends with George’s sister and she wanted them to meet. Toula recalls, “In the meanwhile another lady had come along and asked George to elope with her, but as soon as George’s sister showed him my photo he said no and agreed to meet me over dinner. Neither of us had any money to get married so George came to pick me up and smuggled me back to his home town in a basket on his back. 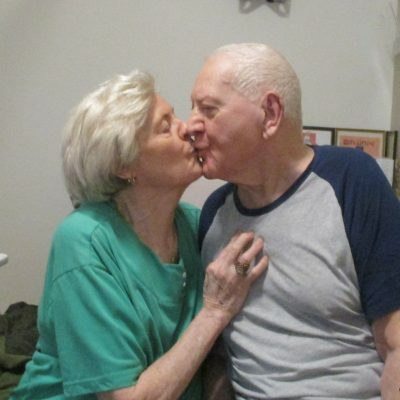 We got married in Greece, 1963 and believe the secret to a long and happy marriage is to stay together for the love you that you share.” George moved into our care a short while ago and since then, Toula has visited him twice a day, every day. Ex-soldier and aspiring fruit grower, Ron, 21 met Schoolteacher, Beryl, on a tennis court. His first thought of her was, “what a luscious bird!”. 92-year-old Ron says, “I’m a fun guy so I said ‘Let’s go out and get a coffee’, and she said yes, so that’s how we started”. The couple married in December 1949 after Ron asked Beryl father for her hand in marriage. 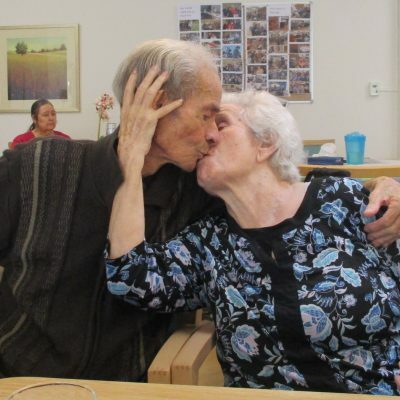 They have now been married for almost 70 years and have three children and four grandchildren. Ron says that he and his wife, who now has Alzheimers, are complete opposites, “She was involved in everything in the community. A rural legend, and I was more interested in sport. We have had a wonderful life together”. 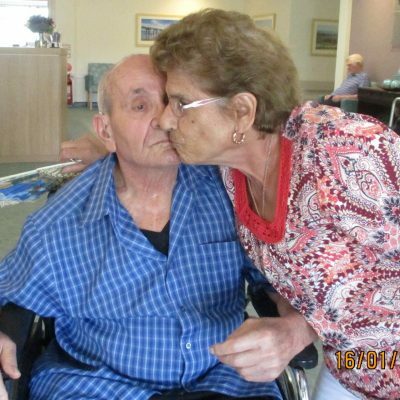 John moved into our care in 2011 and was visited by Rosemary every day until she joined him in 2013. They have been inseparable ever since. John and Rosemary first met on a street corner in Adelaide. He recalls seeing Rosemary and thinking she was “a looker”, so he asked her out. They hit it off straight away. John worked for the Advertiser and Rosemary was a nurse, they have 2 beautiful children, a loving family and a beautiful connection where they spend their days sharing the simple things in life. John recalls that Rosemary was an amazing cook and made a great roast. He was also a motorbike enthusiast and loved riding with Rosemary on the back, which would take a lot of convincing! Christiane met her husband Frank in France, where they married. She was 25 years old when she married Frank and they had a very happy life together for 40 years until he passed away. Ven met her future husband Rowland in his drive way. He played in a band and the instrument he played was a Cornet. Rowland courted Ven for 9 months and proposed to her twice in that time. They married on Saturday 18th April 1942, then honeymooned at a hotel in Glenelg for the weekend before they returned home to start their married life together. They had three beautiful daughters and a very happy 42 years together. Lily was born in England and her grandfather had a brass band where Lily played the Cornet. This is where she met her future husband, who also played the Cornet in the same band. Lily’s husband courted her for 3 years until he proposed, and she accepted. They were married in England and Lily recalls they honeymooned at the sea- side. They were happily married for a very long time and had 4 children. Lily said her husband was very handsome. Alun, a Welsh lad was painting the outside of a window with a friend of his when a beautiful blonde walked past. Alun said, “who’s the blonde?”. His mate didn’t know where she lived, but he did know where she worked. 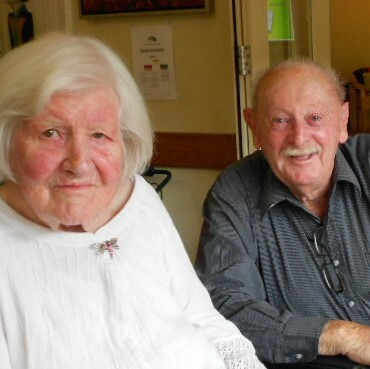 16 year-old Doreen went on her first date with Alun, and when he went to kiss her goodbye, Doreen said “You better not, my mother might be looking!” They dated from then on, married two years later and have been together 66 years. Still madly in love and still doing everything together……a true love story.